The Canadian pension, employee benefits and institutional investment industry is continuously evolving, its laws being changed or updated and new products and ideas are making their way to the top of best practices. Financial crisis, globalisation, the rise of emerging economies are all impacting the way decisions are taken. 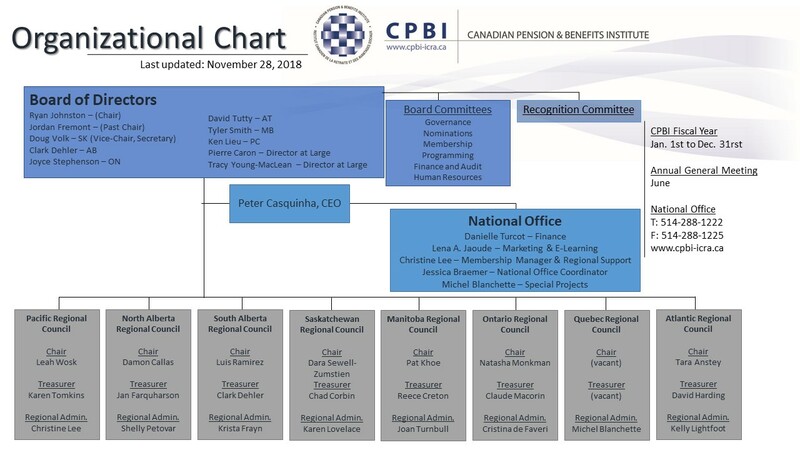 Founded in 1960, the Canadian Pension & Benefits Institute is a national, not-for-profit organization that specializes in providing its members with industry-related educational sessions across Canada in the pensions, employee benefits and institutional investment sectors. The CPBI cost-effective, non-biased educational events and networking offerings are the perfect platform to learn, network and exchange on a wide range of topics. To provide the opportunity to participate in high quality, high value and cost effective education and networking forums focused on the exchange of information and best practices related to pensions, employee benefits and investments across Canada. To be a recognized leader in providing quality education and networking programs and services, which are solutions-oriented and promote professional growth and development across Canada. An open forum to share and discuss ideas as well as a gathering place for professionals from the pension, benefits & investment industry. A national gathering point for the presentation of all views through open membership. An extensive network of rich and varied volunteer resources, the driving force of CPBI. Over one hundred accessible and cutting-edge educational programs with high benefits to cost ratio. A dedicated Board of Directors who are representative of the expertise within the industry. Eight active Regional Councils responsible for regional programming in the Pacific, Northern Alberta, Southern Alberta, Saskatchewan, Manitoba, Ontario, Québec and the Atlantic Regions. A dynamic National Office responsible for the day to day management of the operations working in synergy with the eight regions to develop quality national programs.